Donald Trunk could have been a satirical take on an elephant in every room of the PC palace with witty ironies, blunt bludgeons and sharp intakes of breath, but actually it’s not. It is a refreshing tonic to take you away from such things and into the magical world of adventures and capers that characterise a human-like elephant in Sri Lanka who gets the wanderlust spirit, like many pioneering Sri Lankans before him, to get away and seek experiential treasures in faraway lands before discovering that one’s homeland is where the real treasure is. The book brings its readers into contact with most of the great things about Sri Lanka, highlighting the amazingly colourful and spiritual festivals the country celebrates, the stunning and rich natural world the characters inhabit, their interest in environmental and health matters, their humour and their sense of adventure. Sri Lanka has seen the best and worst of what humanity must suffer and aspire to and if the visitor has integrity and is well meaning, there are many treasures to be found. If your agenda is more self-centred and hedonistic then you had better watch out for there are many traps to walk into and witchcraft here is second only to Haiti in the Top Trumps of skulduggery for those unprepared souls presenting themselves in the wrong way. Witchcraft is as real here as the accursed character assassinations and slander that take place over a cup of tea or coffee in the West. That’s not to say there’s anything wrong with tea or coffee – tea in Sri Lanka is world famous, as is the Virgin White tea to be found at Handunagoda, and coffee production was actually pioneered here before tea, known as King Coffee, under which the transport infrastructure was developed to make way for the Great White Queen, Ceylon tea. But there is one cash crop that even preceded coffee in Sri Lanka and that is real cinnamon (Sri Lanka is the only country that grows real cinnamon), in the 1700s more valuable than gold, owing to the multitude of health benefits from using it in its various forms. Donald’s life begins on the Gradely Cinnamon Plantation where his parents are hardworking coalface types who believe in doing a proper day’s work for…well, a decent meal and a comfy bed for the night. Donald, however, has his mind set on other things and dreams of an easy life in faraway lands and after talking with an array of other wonderful characters, and reading the Daily Tusk (the elephants’ version of a tabloid newspaper) sets his mind on the exotic Nicobar Islands and a big swim. The story, set in Sri Lanka, is a mixture of adventure, cultural and religious enrichment, a sense of community, environmental and health awareness and fun. It is the first of a series that will take Donald around the globe, getting into all sorts of trouble along the way but always ending up on his ample feet. 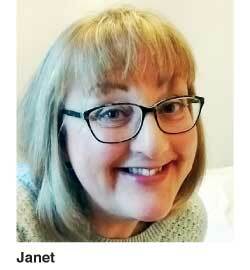 Janet Anderton is a hitherto undiscovered gem of an illustrator, bringing life to this ‘hero’ in a unique style and with great depth. Her use of watercolours and bold strokes with a great deal of good humour are an essential part of the story. Juliet Coombe has written and published many books promoting Sri Lanka as a global cultural epicentre and has covered an enormous range of styles and topics. This is her first venture into children’s storytelling as she recognises the value of influencing young minds having two young boys of her own and teaching them about vital issues from an early age. The book is also a dedication to her late mother, an immense inspiration to her from early childhood who taught her how to tell amazing stories and stand up for what matters. The story was also inspired by two press reports of elephants swimming 10 miles off the Sri Lankan coast. The book launch will be held today (24) at the Jetwing Lighthouse. 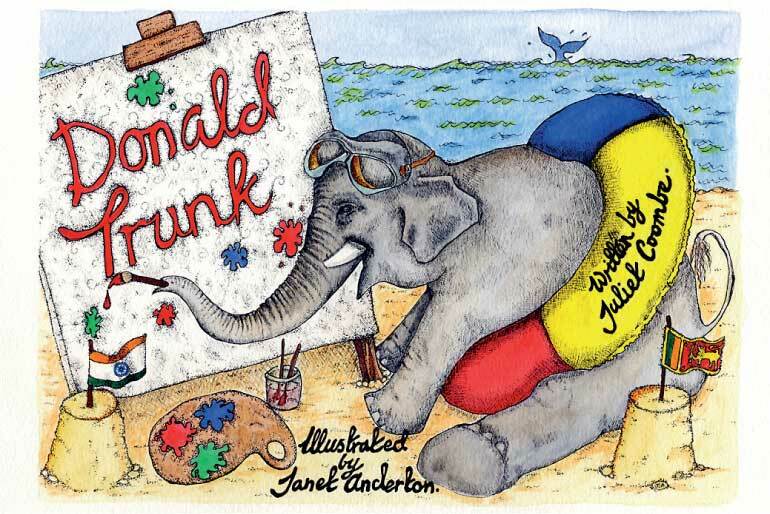 You can purchase the book at www.donald-trunk.com and treat your kids to a great yarn about a very special island.